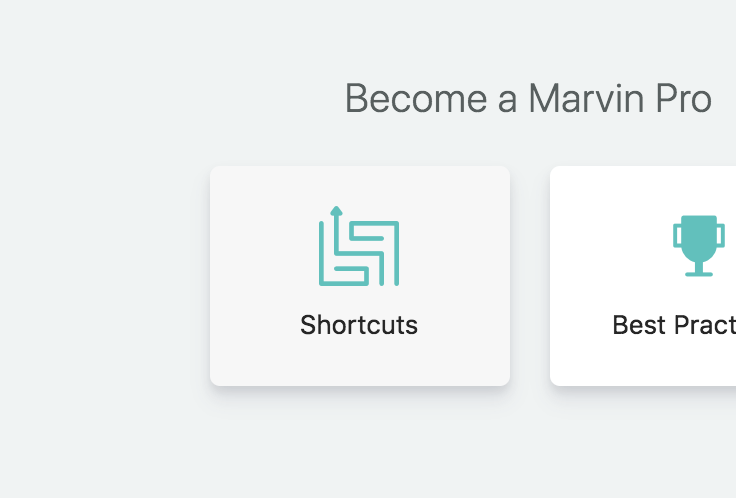 To see a full list of Marvin shortcuts, click the menu at the top right and then navigate to "Help & Resources"
Then click the button in the middle called "Shortcuts". After clicking the button a panel slides out on the right side that lists all the shortcuts. You can print the shortcut list with the little print icon and close it with the X when you no longer need to see them. You can also collapse the sidebar by clicking on the colored title bar ("Shortcuts"). When you want to see them again, click on the square and the sidebar opens up again. What kind of shortcuts are there? 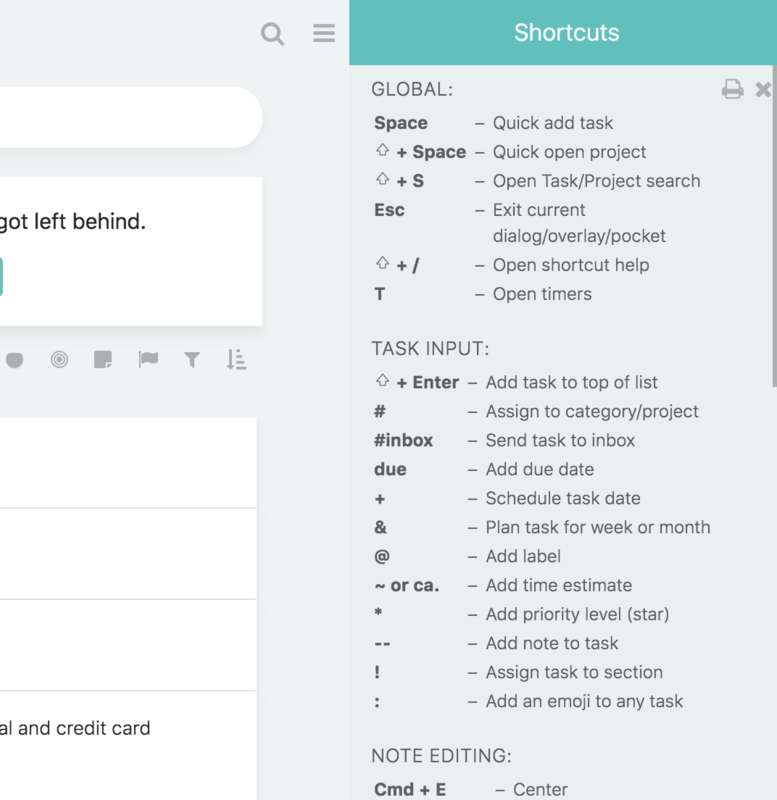 Task Input shortcuts - These are used to quickly add data to a task. 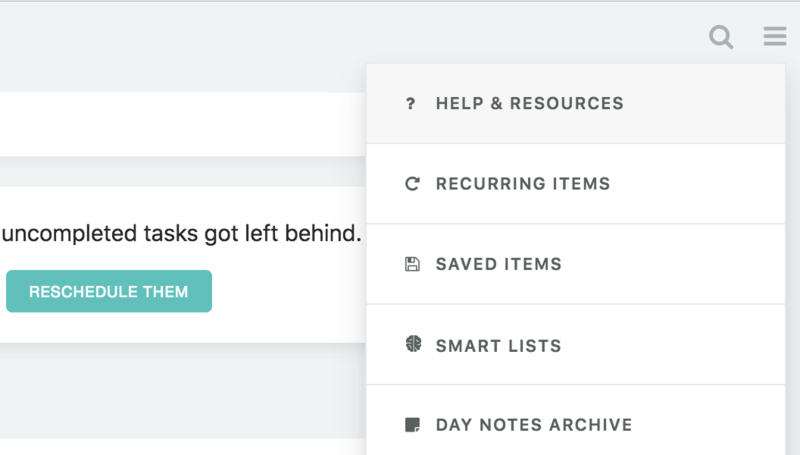 Type them anywhere in the title of a task, either when creating or editing a task. Note editing shortcuts - These are formatting options for your notes. Overlay specific shortcuts - Each overlay has some unique shortcuts in addition to the global ones. Whenever you are in an overlay (Master List, Dashboard, Planning, My week etc. ) you can click "?" on your keyboard to see the shortcuts for that overlay.